1. 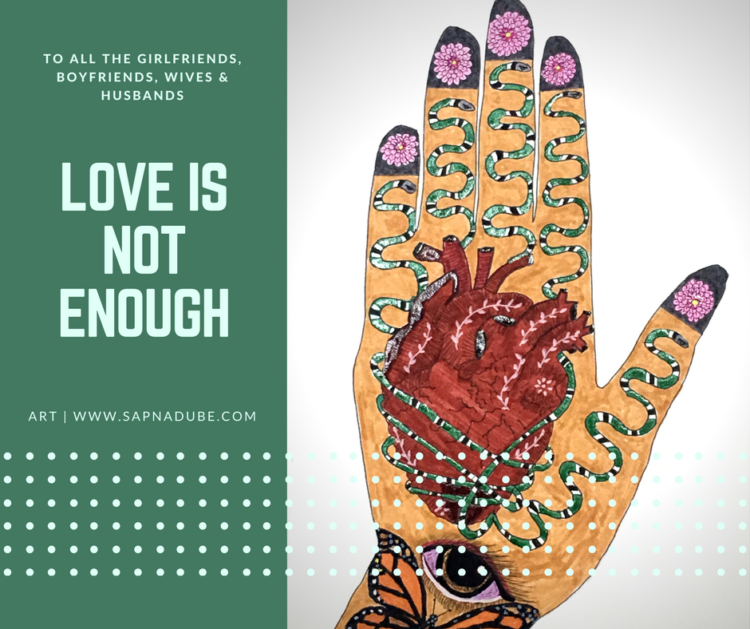 Love does not equal compatibility.Just because you fall in love with someone doesn’t necessarily mean they’re a good partner for you to be with over the long term. Love is an emotional process; compatibility is a logical process. And the two don’t bleed into one another very well. But when it comes to sacrificing one’s self-respect, one’s dignity, one’s physical body, one’s ambitions and life purpose, just to be with someone, then that same love becomes problematic. A loving relationship is supposed to supplementour individual identity, not damage it or replace it. If we find ourselves in situations where we’re tolerating disrespectful or abusive behavior, then that’s essentially what we’re doing: we’re allowing our love to consume us and negate us, and if we’re not careful, it will leave us as a shell of the person we once were. Why do we tolerate behavior in our romantic relationships that we would never ever, ever tolerate in our friendships? Imagine if your best friend moved in with you, trashed your place, refused to get a job or pay rent, demanded you cook dinner for them, and got angry and yelled at you any time you complained. That friendship would be over faster than Paris Hilton’s acting career.